Home/Annual Medieval Faire Occurring Again This Summer! Has a portal opened to a time gone by? Are you in England in 1450? No, this is the Brooks Medieval Faire in Brooks AB! Come out on August 11-12 to see Shane Adams (History Channel’s “Full Metal Jousting”) and his Knights of Valour as they challenge fate astride mighty steeds. Watch the IMCF (international Medieval Combat Federation) face off against teams from all over Canada. Sample food from local food trucks, enjoy an ale or mead or join us for a glorious feast! 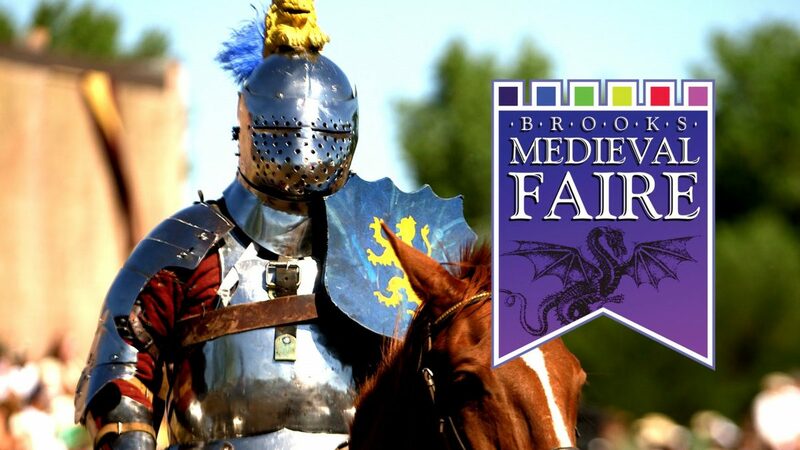 Jousting, sword fighting, feasting and some of the most unique artisan vendors in Alberta can all be found at the Brooks Medieval Faire! Advance gate tickets and feast tickets can be purchased on the following website!